Hadoop is a fault-tolerant distributed system for data storage which is highly scalable. 1. Hadoop Distributed File System(HDFS):-A distributed file system that provides high throughput access to application data. 2. MapReduce:-A software framework for distributed processing of large data sets on compute clusters. In this tutorial, I will describe how to setup and run Hadoop cluster. We will build Hadoop cluster using three Ubuntu machine in this tutorial. 1. NameNode:-Manages the namespace, file system metadata, and access control. There is exactly one NameNode in each cluster. 2. SecondaryNameNode:-Downloads periodic checkpoints from the nameNode for fault-tolerance. There is exactly one SecondaryNameNode in each cluster. 3. JobTracker: - Hands out tasks to the slave nodes. There is exactly one JobTracker in each cluster. 4. DataNode: -Holds file system data. Each data node manages its own locally-attached storage (i.e., the node's hard disk) and stores a copy of some or all blocks in the file system. There are one or more DataNodes in each cluster. 5. TaskTracker: - Slaves that carry out map and reduce tasks. There are one or more TaskTrackers in each cluster. In our case, one machine in the cluster is designated as namenode, Secondarynamenode and jobTracker.This is the master. The rest of machine in the cluster act as both Datanode and TaskTracker. They are slaves. Fig: After Installation, Hadoop cluster will look like. 1. 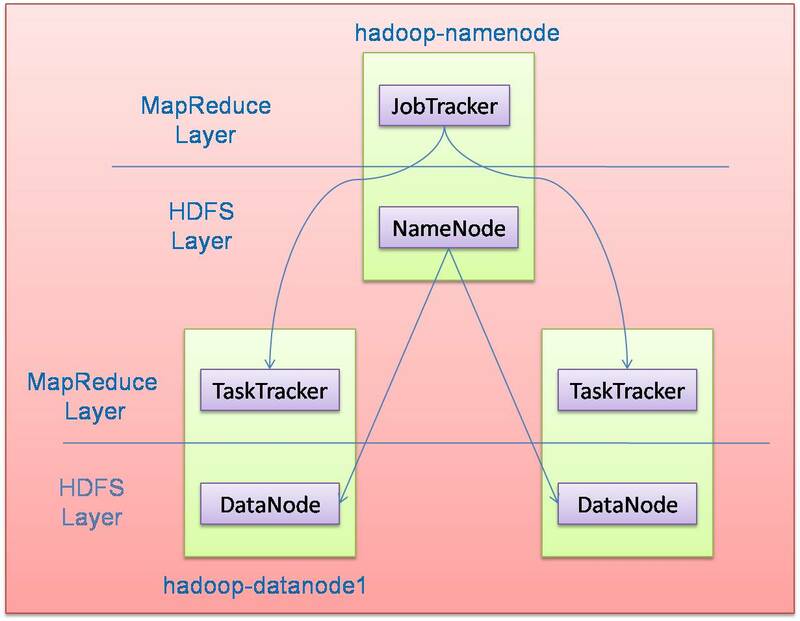 Installing and configuring hadoop namenode. 2. Installing and configuring hadoop datanodes. 3. Start and stop hadoop cluster. 1. Download hadoop-0.20.2.tar.gz from http://www.apache.org/dyn/closer.cgi/hadoop/core/ and extract to some path in your computer. Now I am calling hadoop installation root as $HADOOP_INSTALL_DIR. 2. Edit the file /etc/hosts on the namenode machine and add the following lines. Note: Run the command “ping hadoop-namenode”. This command is run to check whether the namenode machine ip is being resolved to actual ip not localhost ip. 3. We have needed to configure password less login from namenode to all datanode machines. 2.1. Execute the following commands on namenode machine. 4. Open the file $HADOOP_INSTALL_DIR/conf/hadoop-env.sh and set the $JAVA_HOME. Note: If you are using open jdk , then give the path of that open jdk. 5. Go to $HADOOP_INSTALL_DIR and create new directory hadoop-datastore. This directory is creating to store metadata information. <description>Default block replication.The actual number of replications can be specified when the file is created. The default is used if replication is not specified in create time. Note: In my case, both primary namenode and Secondary namenode are running on same machine. So, I have added hadoop-namenode in $HADOOP_INSTALL_DIR/conf/masters file. 2. Edit the file /etc/hosts on the datanode machine and add the following lines. 3. We have needed to configure password less login from all datanode machines to namenode machine. 3.1. Execute the following commands on datanode machine. Note:-Step 9 and 10 are not mandatory. 9. Open $HADOOP_INSTALL_DIR/conf/masters and add the machine names where a secondary namenodes will run. Above steps is required on all the datanode in the hadoop cluster. Before we start our new Hadoop cluster, we have to format Hadoop’s distributed filesystem (HDFS) for the namenode. We have needed to do this the first time when we start our Hadoop cluster. Do not format a running Hadoop namenode, this will cause all your data in the HDFS filesytem to be lost. Execute the following command on namenode machine to format the file system. Starting the cluster is done in two steps. Execute the following command on namenode machine to start HDFS daemons. and the following java procsses should run on datanode machine. At this point, the following Java processes should run on namenode machine. Like starting the cluster, stopping it is done in two steps. Run the command /bin/stop-dfs.sh on the namenode machine. hi! thanks for this tutorial. Can i have 2 datanodes in the same machine? how can i do that? nice work dude...can u add some more docs about hive & hbase integration. Hi very nice post. i am able to ping from one machine to other, but when i ran bin/star-dfs.sh i am getting following error. please help. The authenticity of host 'hadoop-namenode (10.0.1.54)' can't be established. RSA key fingerprint is 44:ff:09:b0:5c:e5:19:17:b7:cb:4d:d0:ee:19:7f:41. Are you sure you want to continue connecting (yes/no)? The authenticity of host 'hadoop-datanode1 (10.0.1.56)' can't be established. RSA key fingerprint is 66:c4:46:00:7f:64:11:f9:ea:4f:51:86:b3:0a:07:bd. 'yes' or 'no' though i entered my response as 'yes'. Even i tried with 'no' , then also same thing is happening. what is the reason and how can i solve it. 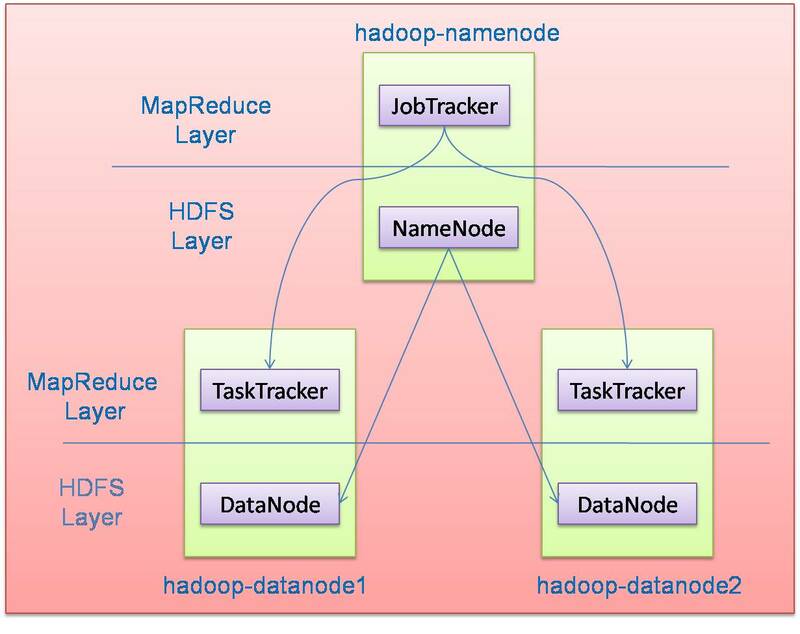 are you able to ssh from master(hadoop-namenode) machine to slave (hadoop-datanode) machine?? Have you automated the installation process using Puppet script? If you have done it would be great if you can share the same. The nodes in the cluster communicate with each other via SSH. The NameNode should be able to SSH into the data nodes in a password-less manner. For this, an ssh rsa key has to be generated on the NameNode. This command produces two files in the ‘.ssh’ directory inside hadoop user’s home directory. .ssh/id_rsa.pub This file holds the public key for the Hadoop user. Now this public key should be added in the Authorized key list of all the Data Nodes. Thus, whenever NameNode tries to remote login into any of the datanodes, the datanode will check the NameNode’s identity in its own Authorized keys file, recognize the NameNode as an authorized guest and allow entry password-lessly. SSH may not work if the permissions for the .ssh directory are not set correctly. Permissions should not be too open neither too restrictive. The contents should be writable only by the owner. Otherwise it is assumed to be a security hole by the SSH server, and access is denied. you can set the permission as 600 and it will work fine. Hi, one of the best documentation i found for beginners who want to setup Hadoop Cluster. Thanks for sharing this, this post was very much useful. My Humble request is to align the post so that it is easy to read. Run step 3rd for each slaves or datanode. http://ankitasblogger.blogspot.in/2012/01/sqoop-export-and-import-commands.html post contains the sqooop import and export commands. I have setup the Hadoop cluster of 5 nodes , is there any way how i can choose to write to a particular datanode in the cluster. when we do the DFS PUT operation i must be able to specify which datanodes to store the data. Also can we have a control on the block size of data that is distributed i.e., to mention the block size at the run time while loading the data into the Hadoop. I think we can't choose to write data into particular datanode. Yes, we can specify the block size at run time. Please try to explore the Hadoop api. I config one cluster using the tutorial. But i cant format my name node. its giving the following error. Cant remove the current directory. Please share the error message. It helps me to identify the root cause of your problem. # i am adding my conf files too..
Is it possible to give input/output path as local file system path, while running hadoop mapreduce jobs in the cluster. i.e is mapreduce jobs can take input from the local file system instaed of HDFS. If so, could you please give me simple example? I have following problem when job run on the cluster..
bhagat@datanode1's password: datanode1: Permission denied, please try again. bhagat@datanode2's password: datanode2: Permission denied, please try again. Can you please can u add some more docs about Kerberos setup for Hadoop or point to some location where i can get the complete steps to setup Kerberos for Hadoop. Hi there! I am actually excited to find out one thing, could you be so kind and please tell us your place of origin? The authenticity of host 'slave2 (10.169.59.16)' can't be established. ECDSA key fingerprint is bc:57:d7:8e:bb:ee:bf:2c:a6:3d:97:d1:06:d4:c7:90. Are you sure you want to continue connecting (yes/no)? The authenticity of host 'slave1 (10.164.169.217)' can't be established. ECDSA key fingerprint is bc:a2:3d:b5:1a:fd:24:85:61:12:df:49:a3:3e:12:9e. The authenticity of host 'namenode (10.233.58.19)' can't be established. ECDSA key fingerprint is e3:cd:0f:7f:01:4a:78:52:7f:79:c6:8e:5b:c3:02:cf. slave2: Warning: Permanently added 'slave2,10.169.59.16' (ECDSA) to the list of known hosts. slave1: Host key verification failed. namenode: Host key verification failed. Hai mate, well crafted, you really nailed it.It was awesome to see the good explanation of Hadoop information over this blog. And keep updating on latest technology info. for getting more knowledge to the Hadoop Lovers. Hi every one.Hadoop is a booming technology now a days.Really very interesting to learn hadoop.Recently I bougt the hadoop videos at $20 only on www.hadooponlinetutor.com.Really,they are very good and informative. An excellent job opportunity in Hybris Training for JAVA professionals who are seeking for job or looking to change to latest and advanced technologies. As we also follow this blog along with attending hadoop online training center, our knowledge about the hadoop increased in manifold ways. Thanks for the way information is presented on this blog. Great information about Hadoop. It will be helpful for us. 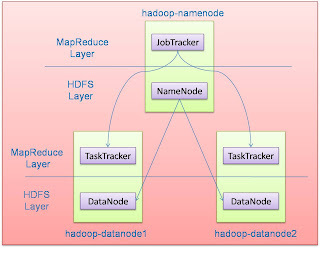 I would like to share useful things for hadoop job seekers Hadoop Interview Questions . Your blog is so comprehensive...Almost everything at one place...You have that real PASSION...! If you conduct corporate training then please call me on 7042198584. Thanks for mention on SSH passwordless login. The authenticity of host 'blah blah' can't be established. Nice blog. Really helpful for learningHadoop and keep update on some more tutorials….. I liked your blog. This tutorial refers to the installation settings of Hadoop on a standalone system as well as on a system existing as a node in a cluster. This post is very much interesting and informative, thanks for sharing!! One of the best blog, I have seen. Waiting for more updates. you have done a meritorious work by posting this content. Very informative post! Keep posting more.